Reports are out claiming that Chelsea are willing to go to £40 million for Liverpool striker Luis Suarez. 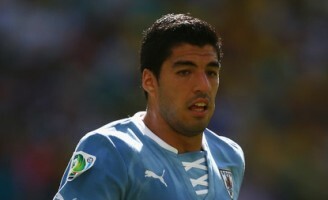 The Mirror claims that Mourinho is lining up a sensational £40million move for Suarez. Arsenal have already had an enquiry knocked back, but Chelsea are ready to test Liverpool’s resolve not to sell the Uruguayan. Suarez has a clause in his contract which forces Liverpool to listen to £40m-plus offers – but they do not have to sell at that price. After moves for Hulk, Radamel Falcao and Edinson Cavani failed to materialise, they are now looking at Suarez.